Returns To Carnegie Hall [Vinyl] by RCA Victor Records at WA Tunes. MPN: LSO 6007. Hurry! Limited time offer. Offer valid only while supplies last. On May 2, 1960, Harry Belafonte returned to Carnegie Hall for what was supposed to be one of the last concerts in the venerable hall's last season. 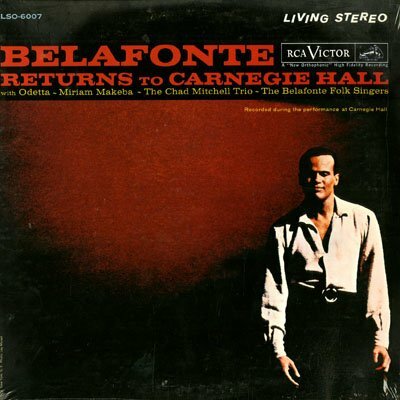 On May 2, 1960, Harry Belafonte returned to Carnegie Hall for what was supposed to be one of the last concerts in the venerable hall's last season. Carnegie was scheduled to be torn down, although this was an edict that was thankfully short-lived. The hall was instead renovated and remains one of New York's premier showplaces. If you have any questions about this product by RCA Victor Records, contact us by completing and submitting the form below. If you are looking for a specif part number, please include it with your message.